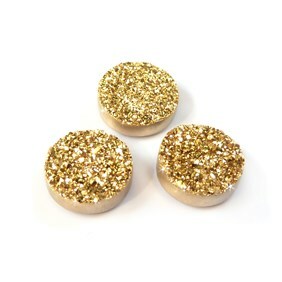 These stunning drusy (or druzy) flat plates are agate drusy with a luxurious coating of 24ct gold. 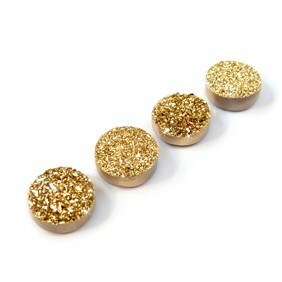 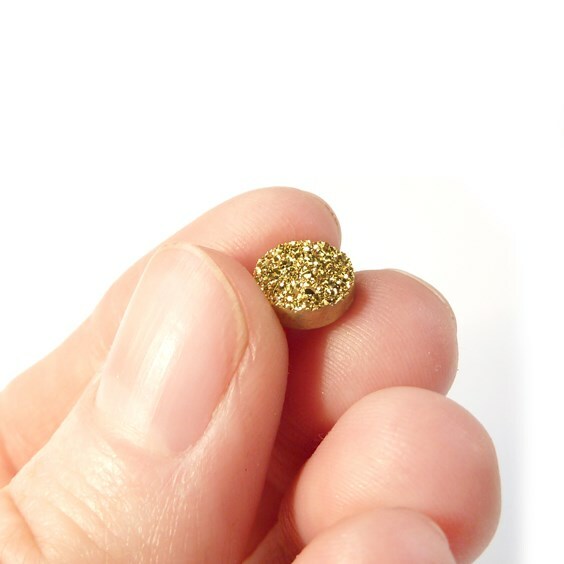 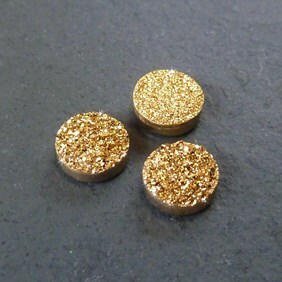 The 24ct gold coating is exquisite and emphasises the eye catching tiny drusy crystals on the surface of each one. 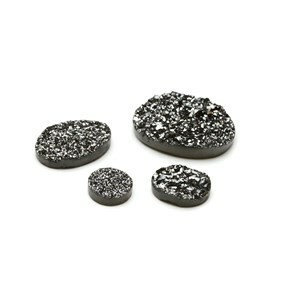 These drusy flat plates really need to be seen to appreciate their true beauty. 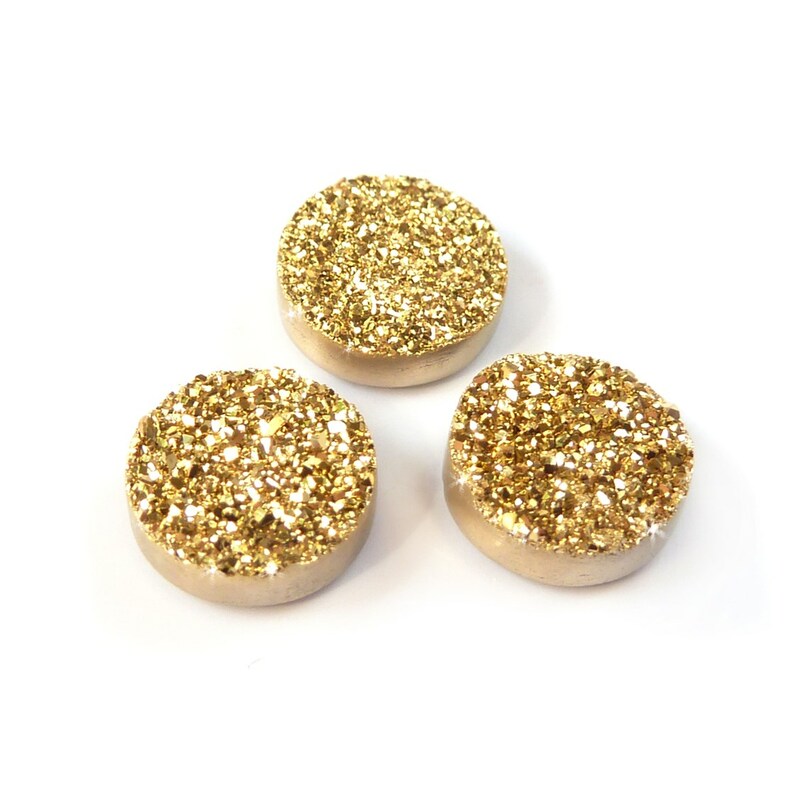 These stones are coated with natural elements in the US at a world leading laboratory by a process called Vapour Deposition Coating, which creates a durable coating at a molecular level able to withstand everyday contact such as water, friction and skin contact. 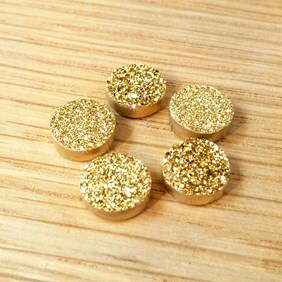 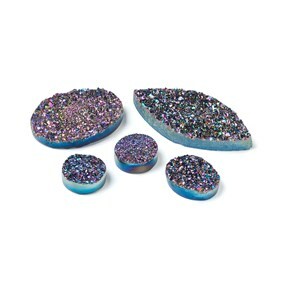 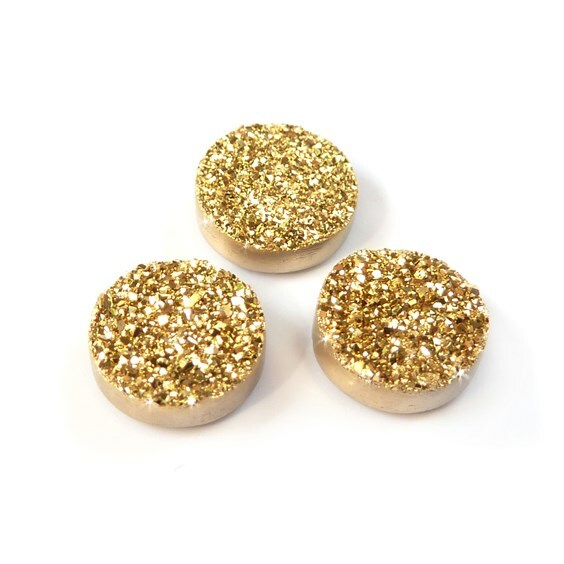 These are the best quality drusy stones which will give your designs a look of distinction. 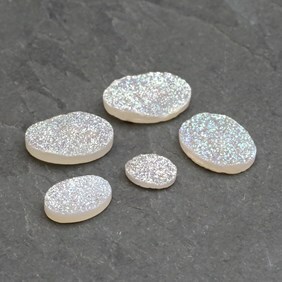 The height of these drusy flat plates varies from approximately 2mm-3mm and due to the nature of the stone the surface is quite irregular which will need to be taken into consideration when setting.